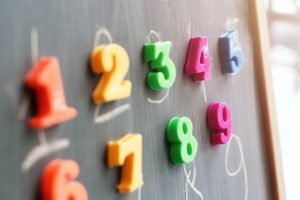 Interesting article about choosing the “right fit” school for your child. As an Independent Educational Consultant, I’m always helping parents decide what is most important to them when they choosing a school for their child. There are common themes but ultimately, each client I work with has different criteria they look for when looking at schools. Multiple colorful magnets with numbers on a blackboard. In today’s world of standardized tests, we have an abundance of data available about our children. While all standardized tests are not equivalent and some reveal much more about our children’s capabilities than others, parents today have more information about their children than ever before. As beneficial as such information can be, it also puts a burden on parents to ensure the choices they make for their child’s education are in that child’s best interests. This can be particularly true for those parents whose children test at the higher end of the aptitude scale. These tests usually raise two important questions for parents: What do these scores mean? And how do they impact the educational choices I make for my child? Some standardized tests, such as MAP (Measures of Academic Progress), make answering the first question simpler, as they give you this information in grade level form. Others, such as the ERB (Educational Records Bureau), give just a percentile. Regardless of a child’s scores, it’s important to keep in mind that while the memorization and test taking skills reinforced by standardized tests and written exams teach children how to handle stress and repeat the “right” answers to finite problems, they do not require students to solve for new complexities, and can penalize them for thinking creatively or “experimenting” with solutions. To continue to grow as lovers of learning, students need to have a chance to balance solving for the concrete and the intangible. This is where the tough part comes in: how do you decide which school has that “right” environment? At the most basic level, I encourage parents on any school tour to look into classrooms and see what the students are doing – are they moving around, interacting and working together? Or are they sitting down at their desks filling out a worksheet in near silence? I also tell parents that the best way to make an informed decision is to evaluate the following four qualities, which I believe are the most important characteristics of a school that is successful in addressing the needs of all K-12 students. One of the hardest things for a child to do is to get things wrong. But iterative learning in which a child fails, assesses that failure and tries again is exactly what children need to ensure that they are authentically learning and not just memorizing successive sets of facts. For parents, this means looking for a school where problem solving is more open ended: where students are asked to create their own path to learning through research and experimentation, not just by memorizing outcomes, and where students are given opportunities to test the depth of their knowledge through exams as a supplement. One of the most powerful ways to ensure that a child continues to be intellectually stimulated and curious to learn is to surround them with capable and dedicated children, all of whom have different strengths and weaknesses. Peer influence, for better or for worse, is a powerful motivator, and students can realize their potential in schools filled with children who enjoy learning at a high level. As I often say to my students, there is nothing quite as cool as going to a school where “geeks” rule! Never underestimate the power that an outstanding teacher can have on a student. Because students naturally dislike failure, it is important that they are surrounded by teachers who can objectively assess their strengths and weaknesses, know a student’s personality quirks and background, accommodate their study habits and nuances, challenge them to continually address that which is most difficult for them, and inspire them to push themselves further than they thought possible. The best teachers are the ones who motivate students to go beyond what they imagined was possible and to be the very best student and person that they can be. The best teachers also have teachers and mentors themselves, and participate in their own education. Education is not stagnant, no matter your age. Perhaps the most nuanced and arguably most important attribute of the school you choose for your child is that it values the importance of giving your child opportunities to see what the real purpose of their applied intelligence can be. Ultimately, aptitude is not about test scores or grades, but about how you apply what you have learned to real problems with meaningful outcomes that impact the real world. Two great examples of this type of learning are Project-Based and Place-Based Learning. There is nothing more motivating or inspiring to a student than being able to do work or be in a work environment that shows them firsthand the impact that their intelligence can have on the world around them. As a parent, you should make sure that the school you choose for them holds this type of experience as a priority. Remembering to look for these four qualities can help you ensure that the school you pick for your child allows them to develop a lifelong love of learning that will help them be successful and happy in their adult lives.